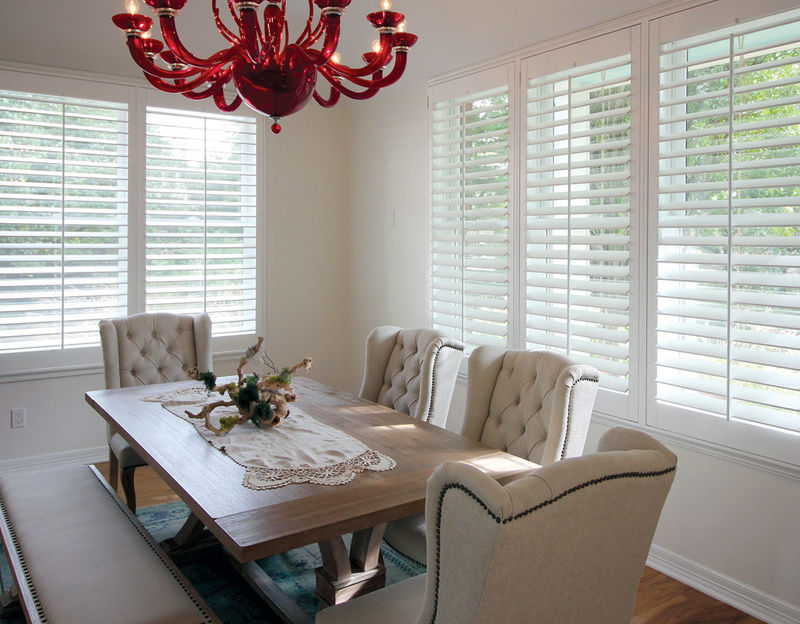 Custom Built, Factory Direct Shutters, Right from Texas. 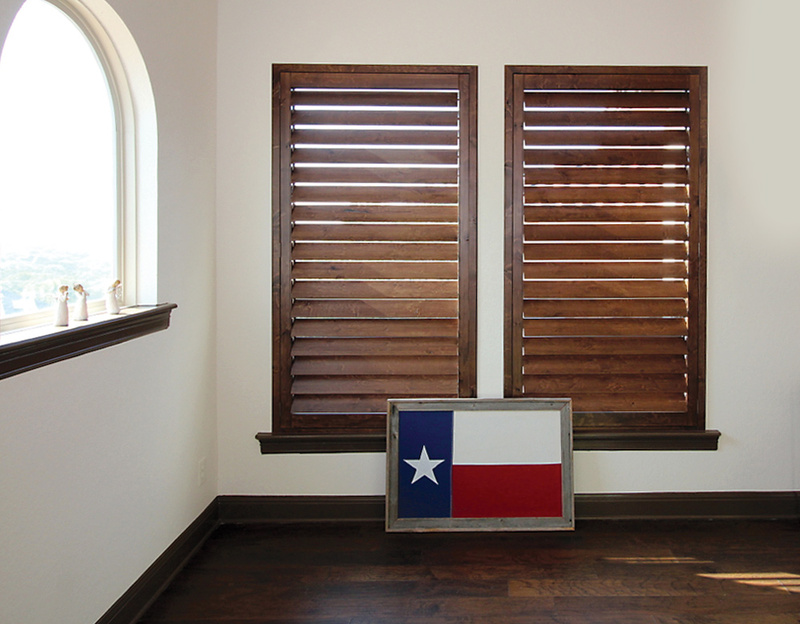 Our hardwood shutters are made right here in Texas from 100% genuine American timber. We pride ourselves on using responsibly forested wood, while the manufacturing process follows methods of environmental responsibility. 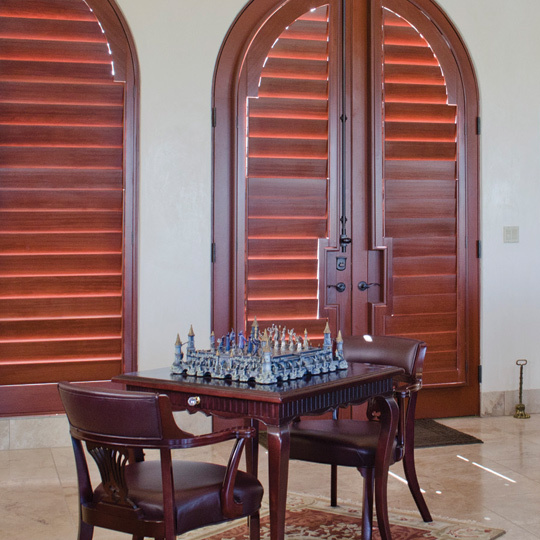 Created with cutting edge design, our custom plantation shutters are constructed using both computer controlled precision and traditional joinery. 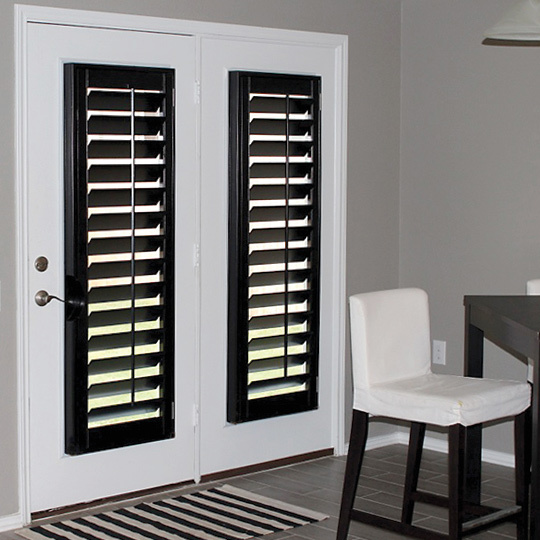 Style, durability and privacy, our interior window shutters are warrantied for your life in your home. 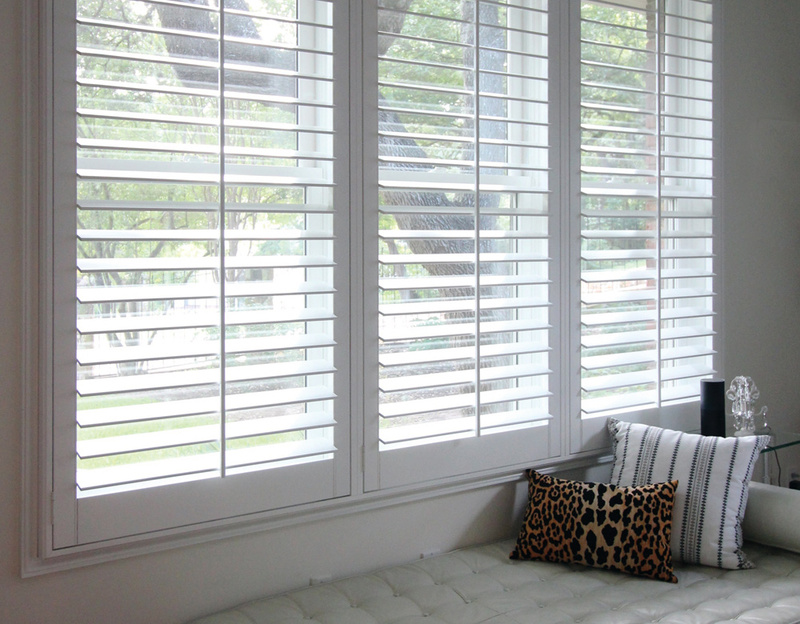 Created from 100% North American hardwood, our plantation shutters are made here in Texas by the experts at O’Hair shutters. The framing and finishing is completed at our Central Texas factory. Come visit us, and ask for a tour! 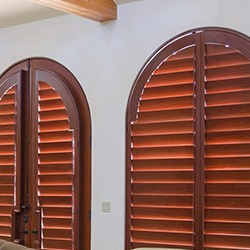 Factory direct means you’re receiving the highest quality wood shutters for the best value. 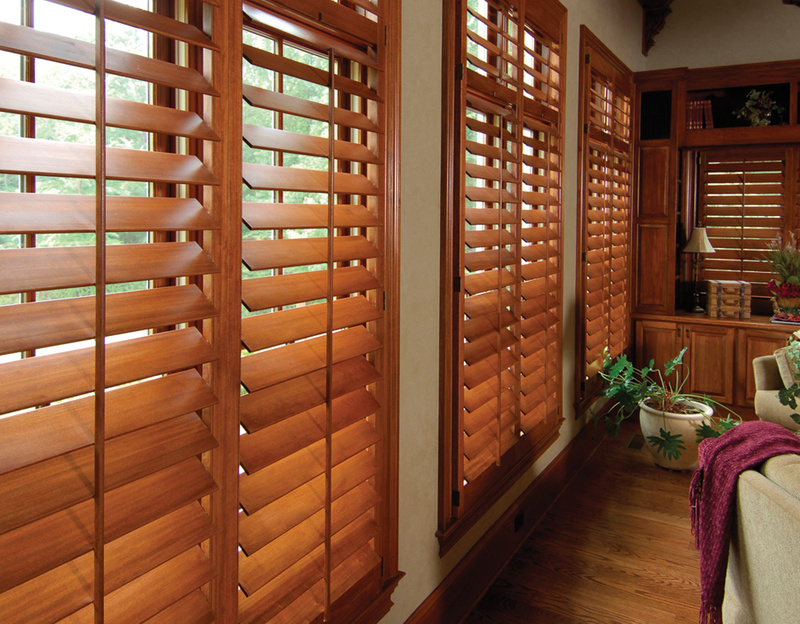 Your shutters will always be 100% real wood–no “engineered wood” or particle board like you’ll receive from overseas. Made right here in Texas, we create only the highest quality. Download a PDF of questions to consider before buying. Overseas shutter manufacturers often quote 6-12 weeks. That doesn’t account for delays due to issues or damage from transit. Buying factory direct means you are receiving higher quality products and a faster timeline. 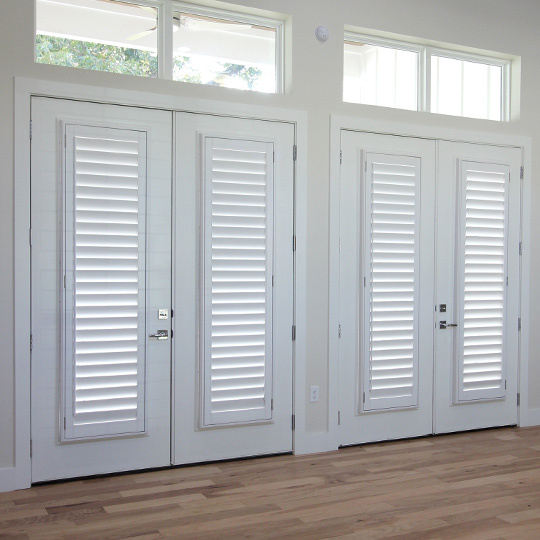 It’s not uncommon for us to install your shutters in half the time. Adding both light and gorgeous style to your home, french doors are a popular choice to lead to your patio or outdoor space. They are also beautiful as interior doors, used often for the home office or master bathroom. 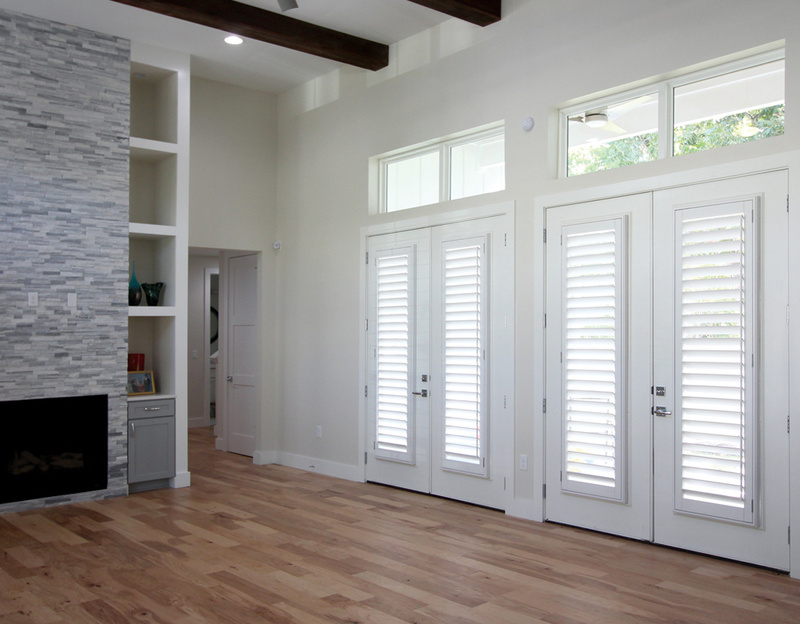 Like any other doors or windows, french doors need both light and privacy solutions. 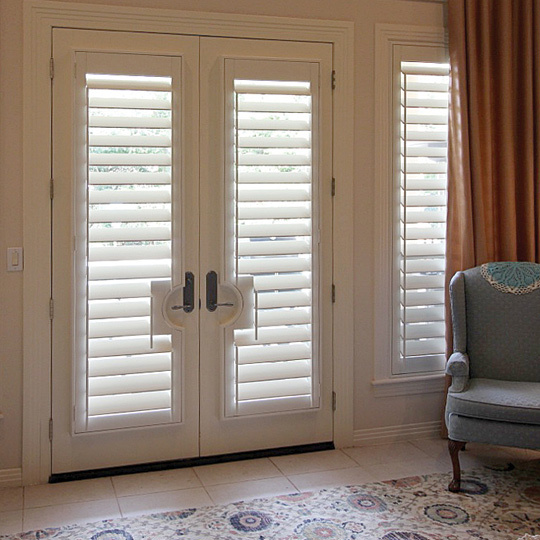 Plantation shutters for french doors bring both character and control to your home. 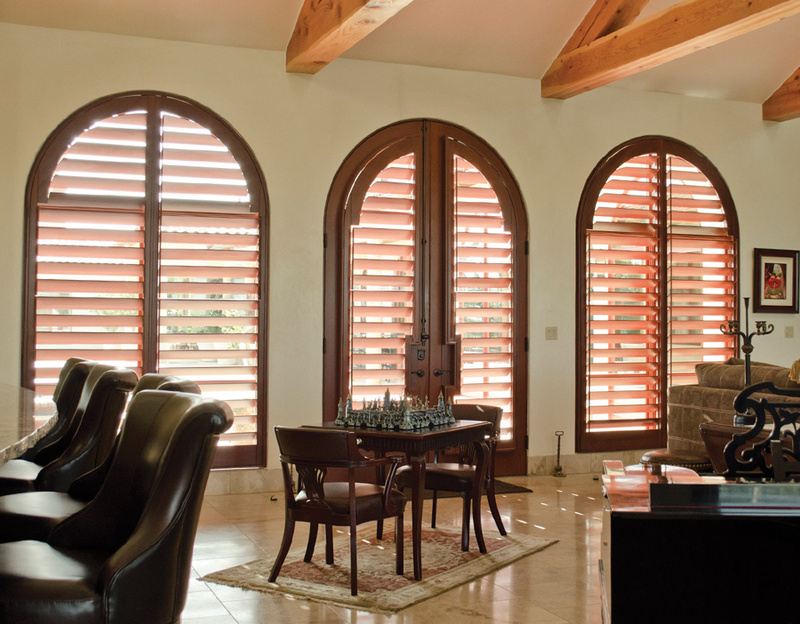 Custom features, like door handle cutouts, adjustable louvers and arched tops, allow you to enhance the style and function of your home. 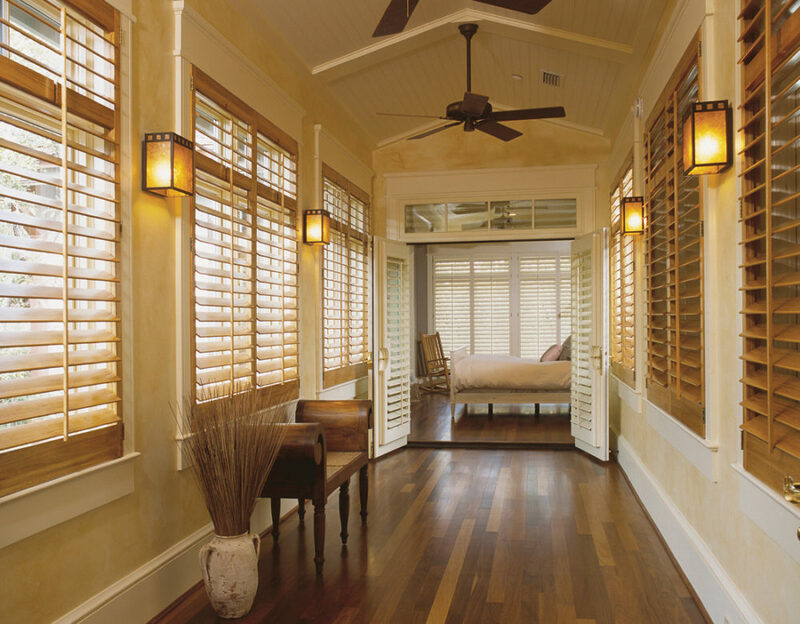 Custom framed for your windows and doors, plantation shutters have louvers that block direct sunlight and heat when closed. 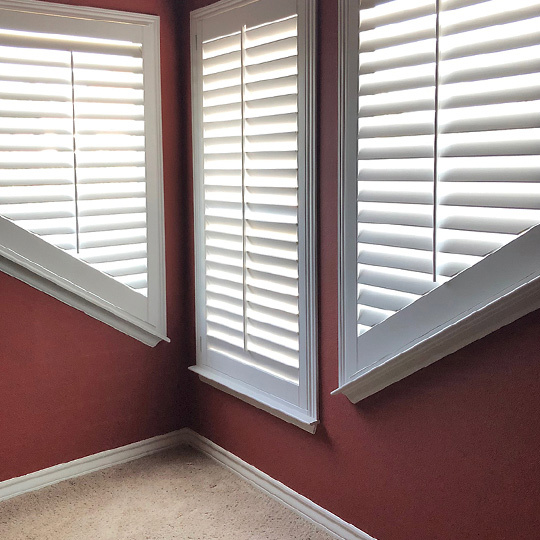 Our interior window shutters are constructed with real wood, and that same wood reflects the sun’s heat away from your home, acting as a thermal barrier. The wood easily blocks the light, as well, meaning that the interior of your home is protected from harsh UV rays. Without the correct window treatments, you run the risk of 40% energy loss at the window. In comfortable weather, open the windows and tilt the louvers open. You’ll immediately feel the flow of fresh air throughout your home. 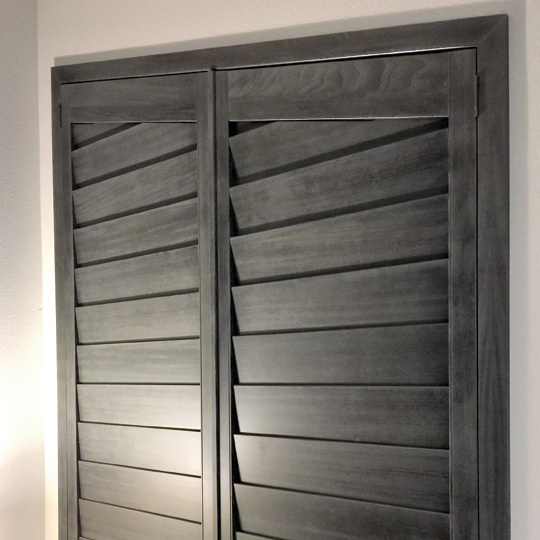 Using state-of-the-art machinery and high quality materials, O’Hair Shutters is the only manufacturer that can produce quality wood shutter panels up to 50” wide. You’ll often see other brands advertising single panels up to 36” wide. 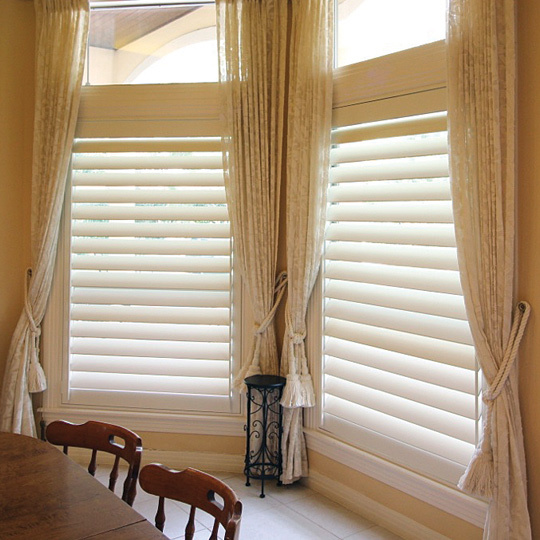 With Window Fashions of Texas, you won’t sacrifice quality or structural integrity. 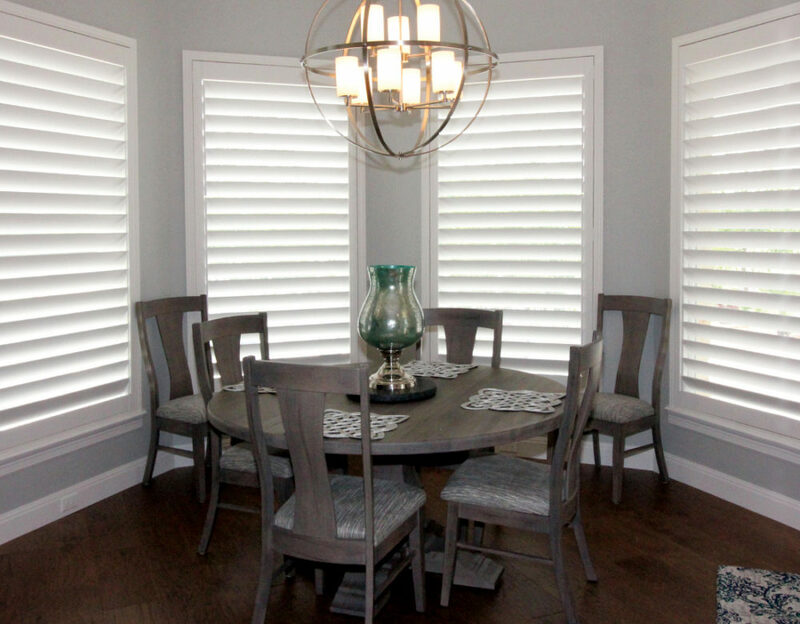 Experience the beauty and durability of real wood shutters custom-made for your home. 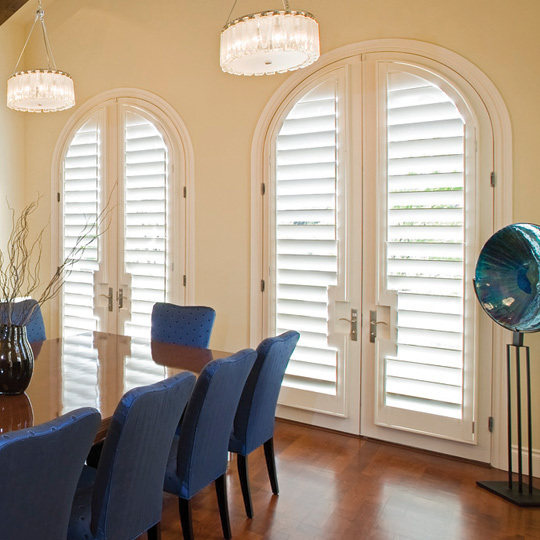 We create arched window shutters from the start of the process, to ensure the structural integrity and design elements are at their best. Corners on both square and arched shutters are constructed with mortise and tenon joinery for superior strength. The louvers, from top to bottom, are all functional, including the fractional louvers at the top of the panel. Our louvers pivot using exclusive milled monolithic louver tenons, instead of the drilled holes and plastic elements used in the products of other brands. 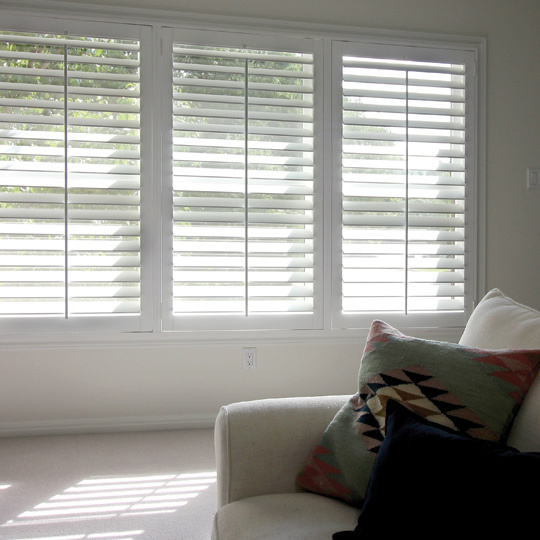 The louver size selected can effect the atmosphere of your home. 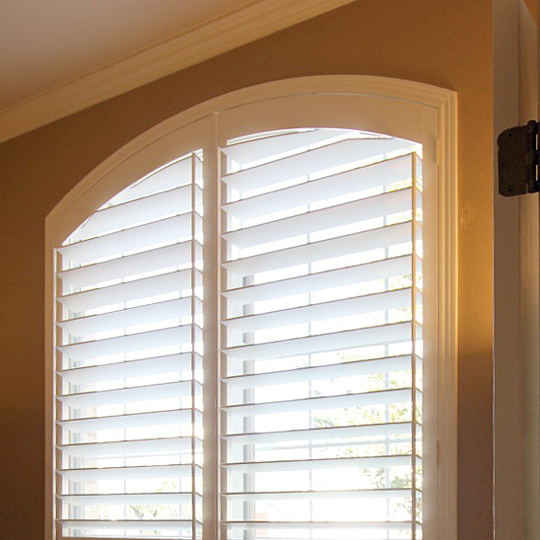 We offer 5 different louver sizes with O’Hair hardwood shutters. 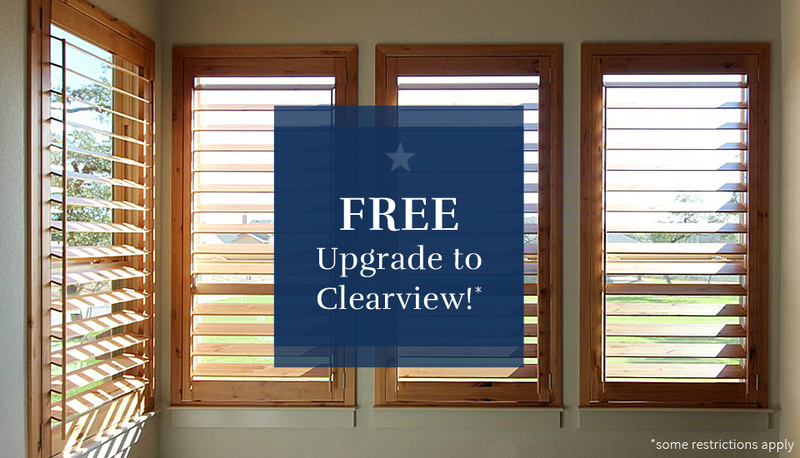 And, we’ll be happy to help you decide which size is best for you, based on the function of your windows and the the style of your home. 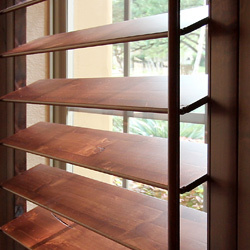 Shutter louver sizes are offered as 1 ¾”, 2 ¼”, 3 ¼”, 4 ¼”, and 5 ¼” louvers. 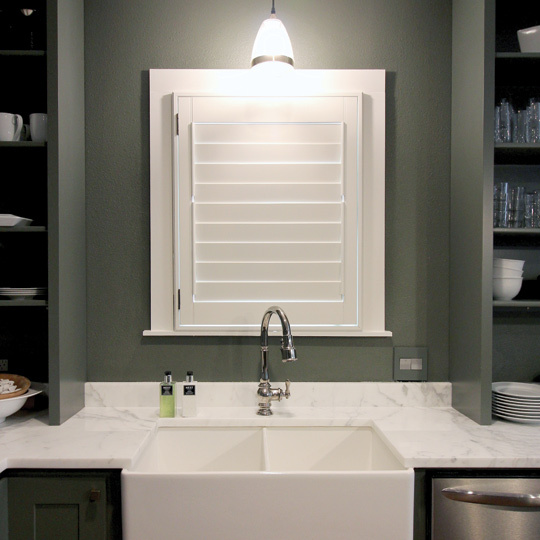 We offer both paint and stain to finish the look of your interior window shutters. Our standard paint colors come in a range of popular choices, but we can also customize the look by color matching your paint color. 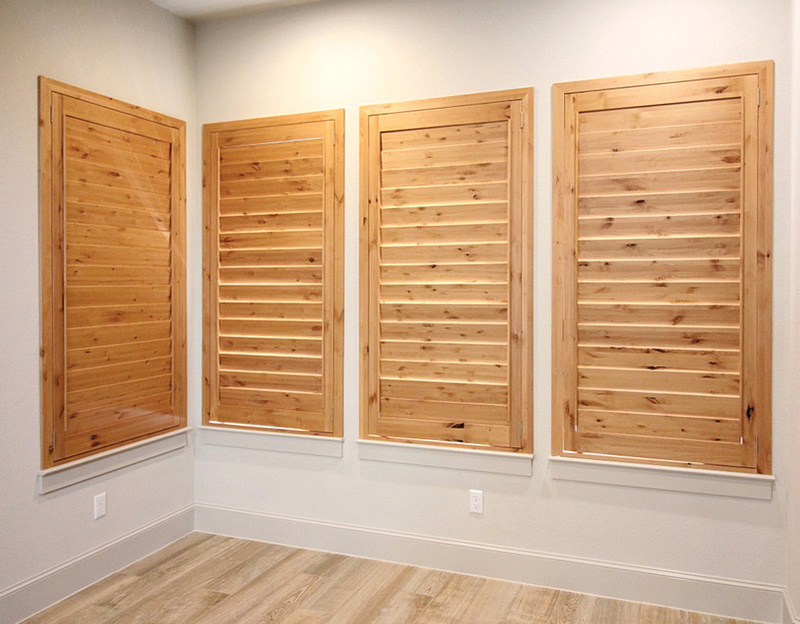 With hardwood shutters, you also have the choice to finish them with a stain grade option. This selection allows the beauty of the wood to really stand out. We offer a range of stain choices. 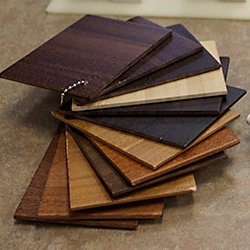 You can also choose custom staining to match your wood flooring, cabinets or furniture. 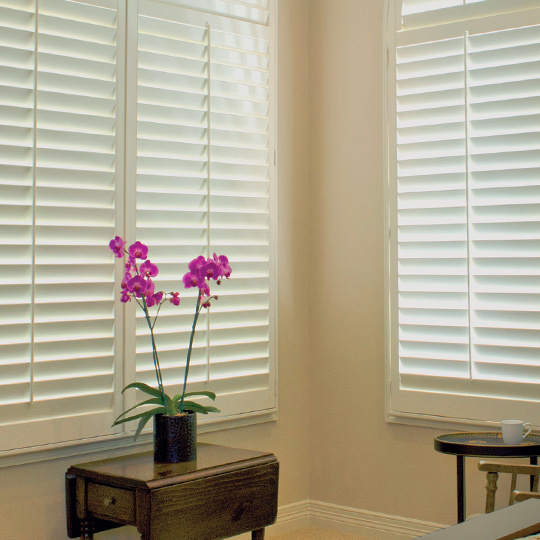 We customize your interior window shutters to fit your windows–and your style. 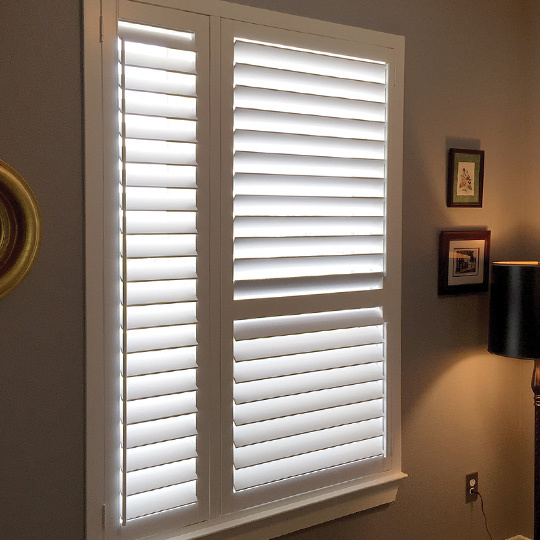 O’Hair hardwood shutters are an incredible product, with the capability to be custom built to fit the size and shape of your windows and doors. 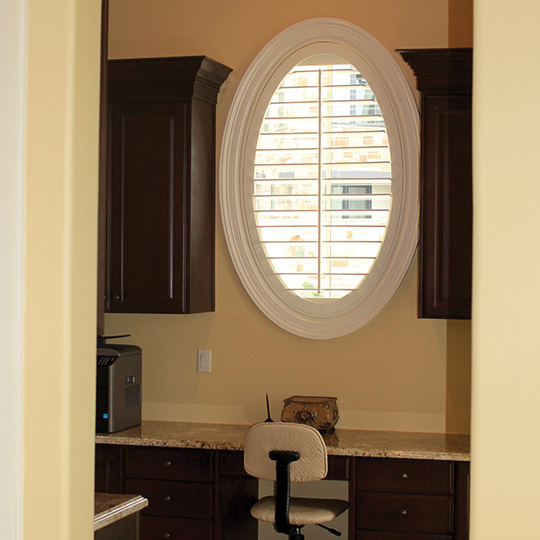 We specialize in outfitting arched windows, as well as other specialty shapes. Wondering about tilt rods? We will guide you through the selection process, ensuring that the tilt rods you choose match your style and home. 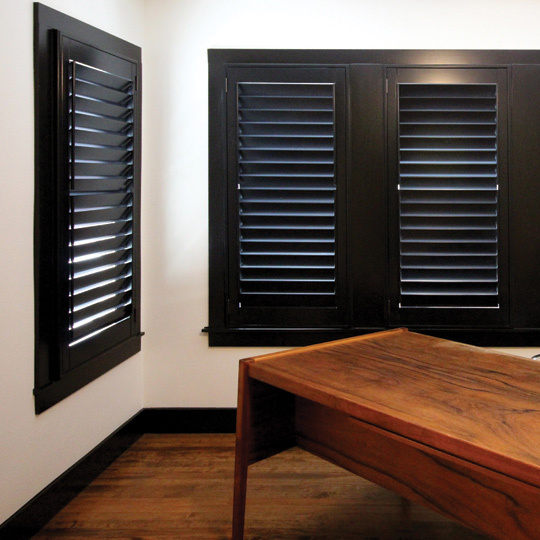 Interested in seeing how your windows might look with shutters? Use the O’Hair shutter preview tool to find out! Looking for more information? Download a brochure about the making of an O’Hair shutter!